The Willis Rodney Whitney Award is given in recognition of significant contributions to corrosion science, such as the development or improvement of a theory that provides a fundamental understanding of corrosion phenomena and/or the prevention of corrosion. An individual who has made a major contribution to corrosion science through a form of education or work that leads to a better understanding of the science of corrosion may qualify. A maximum of one award may be given in any year. The recipient will receive an inscribed award and an honorarium of $1000. Li holds a Ph.D. in Materials Science & Engineering from the Institute of Metal Research, Chinese Academy of Sciences. He is being honored for his outstanding contributions in broad aspects of corrosion science and engineering. One particularly recognized accomplishment of Professor Li is his long-term dedication to the fundamental understanding of the corrosion phenomena in steels and the metallurgical designs of corrosion-resistant steels. His works have systematically clarified the influences of alloy compositions, microstructures and metallurgical process parameters on the origin and evolution of corrosion in steels. To facilitate the understanding of complex corrosion processes and the design of advanced corrosion-resistant materials, he has also developed the corrosion big data approach by integrating full life-cycle exposure tests, laboratory accelerated tests, high-throughput corrosion and environmental monitoring, as well as corrosion modelling and simulation. 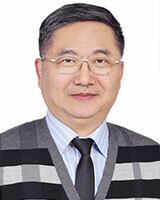 He is currently a professor at the University of Science and Technology Beijing. 2010 - Thomas Devine, Jr.
1983 - H. Leidheiser, Jr.
1982 - E.D. Verink, Jr.